The client wished to have an accessible garden for growing food and flowers. The challenge of keeping the critters out of this garden was solved by the custom split rail fencing. A handmade split rail fence in the park pale style dating back to Roman times is an effective way to trick deer, keeping them out of the vegetable patch. 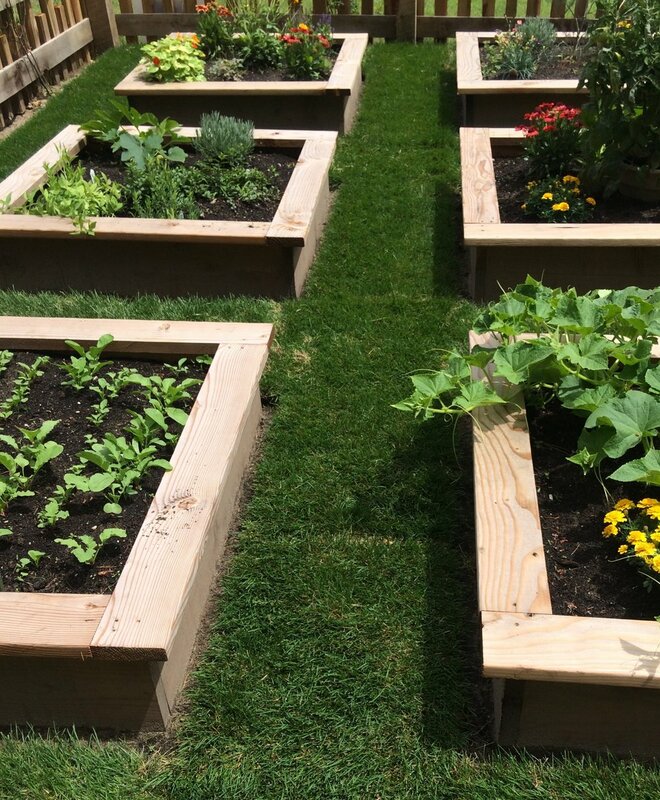 The raised beds allow for people of all abilities to enjoy gardening and growing food. Careful attention was paid to preparing this veggie patch as all organic materials were required. Return to gallery.